(Chuck Muth) – Let’s face it, many low-information voters have no idea what the job of “Attorney General” is. To make it simple: The AG is the state’s top law enforcement officer. 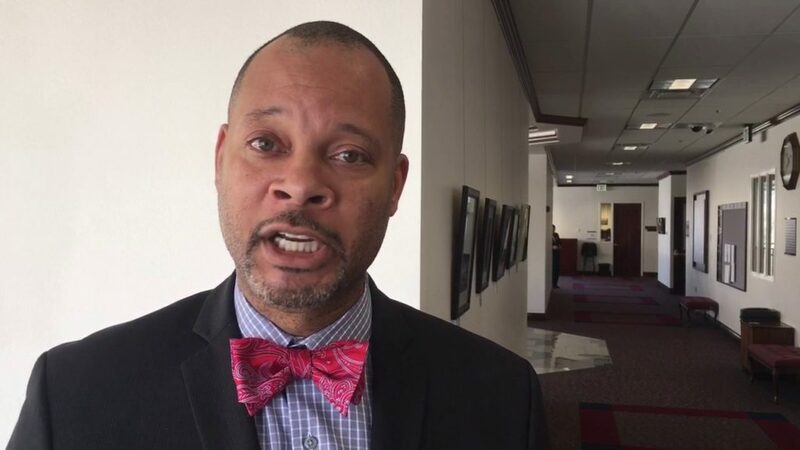 And as such, recent revelations – broken in an exclusive TV interview by journalist Steve Sebelius on Friday – that Democrat state senator and AG candidate Aaron Ford is a serial criminal should disqualify him once and for all for the job. Cuffed and hauled off for public intoxication in 1991. Investigated in 1993 for criminal home invasion when he trespassed into a woman’s house “without her permission.” Police officers let him off the hook; no arrest was made and no charges were filed. Busted for stealing tires in June 1994. Bail was set at $10,000. Busted in December of that year for failure to appear in court over the “Grand Theft Auto Tires” arrest. True. For example, many choose to major in liberal arts courses – think, “Women’s Studies” – that do absolutely nothing to prepare them to get a job in the real world. But few include among their “bad decisions” criminal acts that get them busted not once, not twice, not three times, but FOUR times. That’s an average of getting hauled off to the hoosegow once every school year! How many other “college kids” can boast of such a record? Yes, the college years ARE a “growth period” for boys-to-men. But again, how many boys during that “growth period” use that “growth period” to embark on a career as a serial criminal? And one can’t help but ask: If Ford was caught four times, how many times did he get away with something and NOT get caught? Inquiring minds wanna know. Now, it’s one thing to break the law. It’s another altogether to blow off court appearances to suffer the consequences for your actions. Ford apparently believed he was above the law and simply thumbed his nose at it. Not exactly the kind of quality one usually looks for in a state’s top law enforcement officer. Earlier this week we also learned that Sen. Ford failed to pay his taxes…even as he was voting to raise taxes on everyone else! Ah, yes. Blame-shifting. It wasn’t his fault, you see. It was someone ELSE’S fault because THEY failed to take enough out of his paycheck. Sheesh. Indeed, many Nevada families were hit hard during the Obama Recession years. Indeed, many families had to take a pay cut. But those families buckled down and struggled to get themselves out of the hole. They didn’t blow off their debts to take four months off every legislative session to play politics and hobnob with lobbyists in Carson City. The fact is Aaron Ford put his political ambitions ahead of his family responsibilities. Not exactly the kind of quality one usually looks for in a state’s top law enforcement officer. Ford is also a world-class race-hustler. Indeed, no one should be surprised if Ford eventually blames his multiple run-ins with the law and the IRS on the fact that he’s black. One can only assume his earlier brushes with the law have contributed to Ford’s decidedly anti-cop mentality, bordering on hatred. But open hostility to law enforcement officers isn’t exactly a quality one usually looks for in a state’s top law enforcement officer. While Aaron Ford wants us to overlook his “youthful indiscretions” as not indicative of the man he is today, we can’t. He continues to have a disdain for the law – including laws he himself has voted for as a Carson City politician – and law enforcement officers. This also explains why he fought tooth and nail to pass a bill in the last session to allow felons to vote in our elections. Criminals, apparently, are the constituency he most relates to, and in Aaron Ford’s mind actions should not have consequences. It’ll be quite interesting to see if Nevada voters decide in November that a race-hustling, tax-dodging, serial criminal is the quality they’re looking for in the state’s top law enforcement officer.